Our first meal in Hong Kong is at Crystal Lotus (晶荷轩) that is located in Hong Kong Disneyland Hotel serving award-winning Chinese cuisines with a unique Disney touch and Disney Signature Dim Sum. From what I Google through websites and reviews, the restaurant is always fully book during weekends or peak period so it will be advisable to make your reservation at least two days to a week ahead or book through the hotel when making your room reservations to avoid disappointment. Our recent trip to Hong Kong Disneyland during September school break was rather an impromptu decision but we did have a wonderful weekend there. And since it was our first visit plus free and easy trip in Hong Kong I was feeling rather insecure with things like our baggage and moving around in Hong Kong from one place to another. But thanks God, everything went on smooth and it is much easier than what I have expected to explore Hong Kong with its efficient transport systems like Taxi, Airport Express and MTR and etc. So in my Hong Kong Travelogue posts I will share with you our itinerary to the Magical Disneyland together with transport, food and hotel details throughout the subsequent post which I hope it will help to ease your planning if you are heading there soon. Halloween is a yearly celebration observed in a number of countries which falls on October 31. Although we don't really celebrate Halloween through the traditional trick-or-treat party but for the past three years I have being sharing some Halloween Themed Recipes during this time of the year. For this year instead of the usual savory dishes I decided to bake some sweet treats (cakes) for our afternoon tea. And since Pumpkin is one of the most common ingredients for Fall recipes, I decided to use it to make my favourite Pumpkin Cheesecake (mini version) and Pumpkin Chia Seeds Chiffon Cake. Morning! It's Monday and here is Part II of my quinoa dishes which I would like to share with you. And if you have missed out Part I, here is the link. These super-grains can be used to make different food like salad, pancake, bread, cakes, porridge and etc which makes a healthy replace for our usual flours or grains. In this post, I will be sharing how to use cooked quinoa and turn them into salad, fritters and risotto to create a hearty meal for the family. But if you have any easy recipes on quinoa do feel free to share with us your post link or ideas on the comment box below too. This Mushroom And Bacon Quinoa Salad was inspired by one of my friend, AiYen when we were chatting about Quinoa on skype last week. She told me she would like to try out her first quinoa dish with bacon and mushrooms so on that afternoon I loot back some bacon from the supermarket to test out her suggestion. To our surprise this combination taste quite good with hint of bacon flavour and it's crispy texture hidden within the quinoa salad which blends well with the overall taste. But perhaps for next round I might add in a splash of extra virgin olive oil or lemon juice to lift up the taste. Many of you might have heard about this super-grains known as Quinoa(Keen-wah) which is consider as the "Mother of All Grains". According to the information that I Google online, quinoa is an easily digested grains with good source of fiber and it's also gluten-free too. For the past few months I have being including some organic "quinoa" into our daily meals for at least 2 - 3 times a week on top of our usual white/brown rice. And in this post you can also take on reference how I make used of the red and white quinoa in our dishes together with other ingredients. Moroccan seasoning has an exotic flavour and it is usually used to marinade lamb, chicken or beef which is ideal for grilling, barbecuing or pan frying. You can easily grab a bottle of this Moroccan Spice (shown in the ingredients photo below) at your local supermarkets or you can mix your own using a few spices shown below too. To celebrate it's first year anniversary, Ô Batignolles; a French bistro located at 2 Gemmill Lane has introduced a brand new weekend brunch menu featuring a range of delicious new dishes typical of Paris. This new "Champagne And Croissants Brunch" offers a three-course (croissant, choice of bread and choice of main) menu served together with freshly squeezed orange juice, premium coffee or tea plus free flow Yveline Prat Brut Champagne at S$89++. Alternatively for those who prefer a non-alcoholic brunch, the ‘Champagne And Croissants’ is also available without Champagne for only S$29++ or you can order other dishes from their A la Carte Menu (shown below) that suits your preference. Two weeks ago, I saw one of my blogging friend Nami (JustOneCookBook) she made some really mouthwatering Green Tea Donuts that triggers my craving for baked donuts. So last week after getting a new bottle of Matcha (green tea) powder and digging out my mini donut tray which hidden somewhere in the storeroom. I made some matcha donuts too! 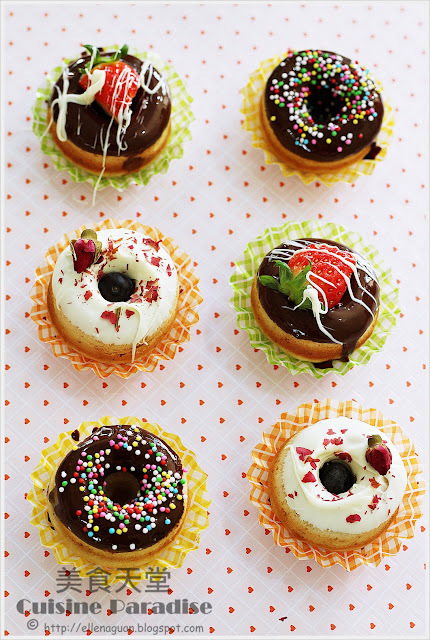 Assorted Mini Donuts (recipe) that I made 2 years ago using Blueberry Yogurt. I still remembered a few years back when there was a donut craze in Singapore where you can find queues everywhere outside donut outlets like Donut Factory. And during that time I even followed the craze and baked donuts with assorted toppings like what shown above. Last Friday, 04 October 2013 was Children's Day school holiday so I bought boy to Swensen's to have his favourite Fishy Chippy and Ice Cream. It was a fun day where we enjoy wonderful lunch and shopping trip around the malls to get some loot for ourselves. Also secondly my aim to visit Swensen's was to try out their Spanking New Dishes recommended by Singapore bloggers. Swensen's has introduced four Spanking New Dishes across all outlets in Singapore for a limited period from 01 September to 31 October 2013. 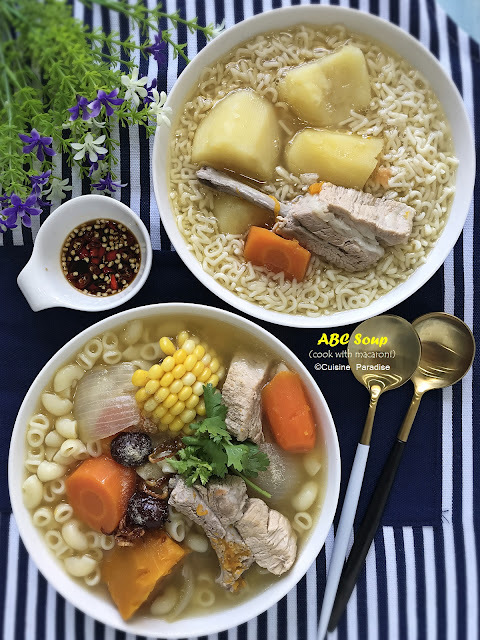 And these four dishes are recommended by Singapore Leading Bloggers such as Ladyironchef, DanielFoodDiary, Camemberu and Keropkman. After reading feedback from friends who tried these dishes over at IG (Instagram), I decided to settle my lunch with Daniel's recommended dish; "Spiced Maple Chicken Waffle" because mainly I am a waffle fans. Good morning everyone! For those who follow my updates on Instagram and Facebook Page, you will release that I have being working on some chiffon cake recipes lately. It is such a quick and easy cake to whip up in about 10 minutes plus 40 minutes baking time in the oven (excluding cooling time) and you get to enjoy some lovely hearty homemade chiffon anytime of the day. I had received some emails from readers regarding problems that they face while making chiffon cakes mostly because the cake sinks or did not rise as fluffy as expected. All these might due to folding of egg whites into the yolk batter (over mixed), oven temperature or etc. But I am sure with proper guideline and hands-on once will eventually master the recipes. 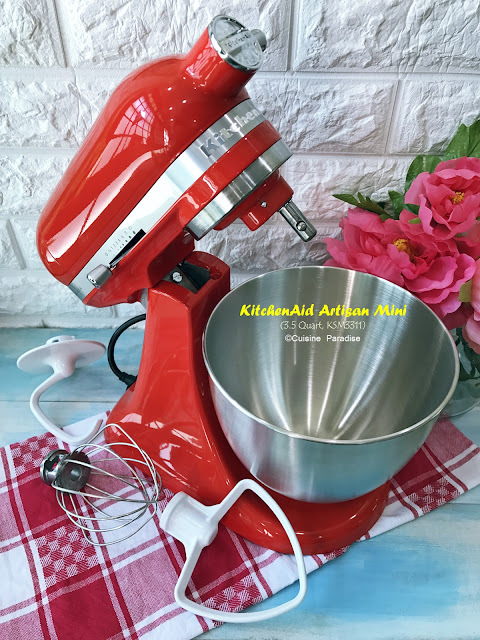 In this post, I will be sharing another 5 chiffon cake recipes apart from what I did in Chiffon Cake Recipes - Part I. Ever since Tim Ho Wan (添好運) opens it's first outlet in Singapore (Plaza Singapura) earlier this year in April. It has definitely captured the heart of dim sum lovers in Singapore who don't mind queuing up for at least 60 - 90 minutes just to savor their signature items such as Baked BBQ Pork Bun, Steamed Egg Cake, Carrot Cake and etc. And now with it's second outlet opens at Toa Payoh Central (ERA Centre) and a third one coming up soon in Bedok (by end of this year), hopefully the queue will be shorter when more outlets are easily access across the island. As the queue over at Plaza Singapura is always snake long, I decided to try my luck at their new Toa Payoh outlet since it is nearer to my area. And thanks God, when mum and I arrived at around 10.35am (opens at 11.00am) the queue was not as bad as what we thought and we managed to get our seats by 11.05am.